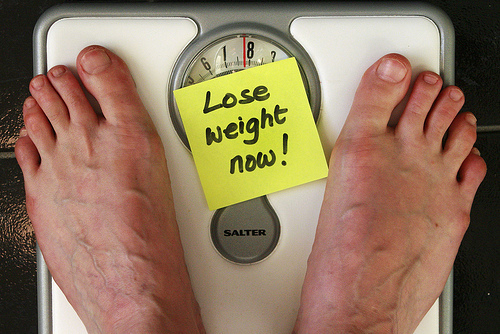 A common complaint I see in my practice is in females having difficulty losing weight. “Dr. Bindiya, what can I do about this weight?” Weight loss is not necessarily calorie in and calorie out as we were taught in medical school. I recall in college going on the “Special K diet.” Well, it worked the first couple times I needed a quick weight loss fix. Afterwards as I got older it never worked again and I never understood why. I was eating less calories then I should; it was supposed to work?! Of course, then there’s the over-exercising part. The more you exercise, you should lose weight? Wrong! Read below on what contributes to weight gain and effects weight loss! There is no need to spend hours at the gym and running your life away. You actually need to do high intensity interval training 20-30 min at least 3x/week. Try some caffeine or green tea before you work out which revs up your metabolism and increases your performance and endurance (1). In a 2010 study in Belgium, they found the best time to work out is actually in the morning on an empty stomach which also helps reduce insulin resistance and prevents weight gain. Eating on an empty stomach also burns more fat using it for fuel (2). Studies also show extreme marathon runners actually have an abnormal thyroid function, so there is truth to overdoing it (3)! I always tell my patients to change up their work out every 4 weeks so their body doesn’t get used to the routine. Try something new and challenging your body to something it is not used to and you’ll reap the benefits of the work you’re putting in. Your diet is important to weight loss. However, there isn’t one diet that is superior according to studies. Each one has its own pros and cons. You have to do what is best for your body type and medical conditions. Regardless of going paleo, vegan or Jenny Craig. The key is to evaluate what nutrients you’re putting into your body! Don’t starve yourself, this increase stress hormones and you’re more likely to store fat. So the days of skipping meals are over. Remember, you have to eat fat to lose fat! Our Low-fat diet era is long behind us. Be sure to incorporate healthy fats into your diet like coconut oil, olive oil, avocados, walnuts, flax and chia seeds to name a few (4). Cut out sugar! This turns into unhealthy carbohydrates which turns into fat and then disrupts your cortisol and insulin levels making it harder to lose weight. Avoid high fructose corn syrup which increases insulin resistance and increases your triglycerides making you at risk for having nonalcoholic fatty liver disease(5). High Fructose can also lead to leptin resistance which tricks your brain into thinking you’re not full. You want to avoid alcohol and coffee post workout because this decreases muscle synthesis and breaks down your muscles instead of building them back up (6). One of the things I recommend to my patients is log in an app what you ate for the day. Often times we don’t realize we are consuming more than we should despite eating “healthy.” Also this is a good way to evaluate your macronutrients for the day to see how much protein vs fat vs carbs you’re actually eating for the day. What is your intention and motivation for wanting to lose weight? If you’re not doing it for the right reasons and a healthier lifestyle, you will just gain it right back! So set realistic goals with good intentions and your results with be lasting. If you don’t snooze, you will NOT lose! Sleeping 7-8 hours/day will help you increase testosterone and Growth Hormone levels which contribute to a healthy weight, while decreasing cortisol levels and insulin levels which are attributed to weight gain (7). There are ways to help you get more sleep. My newest favorite is orange light therapy. You can try wearing sunglasses an hour before going to bed which stimulates melatonin naturally to help you sleep better. Check out Tips for a Sleepless Night for a restful night’s sleep. Hormones have a lot to do with weight gain and difficulty losing weight, I’m sure you’ve heard of this before. Your thyroid hormone may be working against you slowing your metabolism; or, your estrogen levels may be really high causing estrogen dominance where you actually retain more fat. The more fat you have, the more estrogen you have, and harder it is to lose weight! You may also be leptin resistant, where your satiety hormone isn’t working well, causing you to overeat and making it harder for you to lose weight. You can always get a blood and saliva test to check your hormone levels to see what could be going on. Please check out Part 1 of Breast Cancer Blog and Part 2 Estrogen Dominance Blog on how you can decrease estrogen naturally. Also, in males, low testosterone levels contribute to more fat retention and less lean muscle mass. Females, too, can experience this as well. Some good ways to increase your testosterone naturally is by taking Peruvian macca & ashwangdha, two of my favorite supplements to recommend to patients. This happens if you have food sensitives and intolerances and you’re still eating them. By doing so, you’re contributing to the inflammation in your body. You may also have parasites, dysbiosis (overgrowth of bad bacteria), candida overgrowth or small intestinal bacterial overgrowth that could be inhibiting your weight loss. By seeking out an Integrative and Functional Medicine practitioner you can heal your gut and entail lose weight appropriately. Please read Heal your Gut Flora naturally for more information. 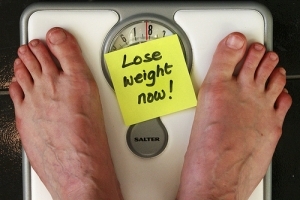 An overload of toxins in your body can make it hard to lose weight. Many people don’t know about this. But, it’s true! Start eliminating Teflon dishes in your house. Stop heating foods in plastic containers and get rid of PBA containers you have in our household. Also, be mindful of the chemicals you’re cleaning your house with. Avoid chemical like triclosan, mea & dea, and formaldyhde; these are not only toxic to our skins but also our bodies. These are just some of the toxins that accumulate in your liver making it hard for your body to detoxify and lose weight. The others include limiting your exposure to GMO and pesticides on your foods. Be sure to eat organic whenever possible and always check with the Environmental Working Group’s Dirty Dozen and Clean 15 if you have any questions. Ladies, check your personal-hygiene products to ensure you’re not exposed to phthalates, sulfates, parabens and aluminums which can also accumulate in your liver over time. As you know, when you are stressed you are less likely to lose weight due to elevated cortisol levels. This is why you’re more likely to crave sugar and carbs during stressful situations. You need to incorporate self-care practices to help you decrease your stress level including meditation, yoga, acupuncture, reiki, massage therapy to name a few. They all help you stay relaxed in this chaotic world we live in. Also look into Adrenal Fatigue; this is also something you could have against you. We are just barely touching on the surfaces of these factors. Remember if you’re wanting to learn more, please be sure to schedule an appointment with myself or another Functional and Integrative Medicine physician who can custom tailor a weight loss program for you. Van Proeyen K, Szlufcik K, Nielens H, Pelgrim K, Deldicque L, Hesselink M, Van Veldhoven PP, Hespel P. Training in the fasted state improves glucose tolerance during fat-rich diet.J Physiol. 2010 Nov 1;588(Pt 21):4289-302. doi: 10.1113/jphysiol.2010.196493. Hesse V, Vilser C, Scheibe J, Jahreis G, Foley T. Thyroid hormone metabolism under extreme body exercises. Exp Clin Endocrinol. 1989 Sep;94(1-2):82-8. LENARD I. LESSER, MD, MSHS, MARY CAROL MAZZA, PhD, AM, SEAN C. LUCAN, MD, Nutrition Myths and Health Dietary Advice in Clinical Practice. Am Fam Physician. 2015 May 1;91(9):634-638. Basaranoglu M, Basaranoglu G, Bugianesi E. Carbohydrate intake and nonalcoholic fatty liver disease: fructose as a weapon of mass destruction. Hepatobiliary Surg Nutr. 2015 Apr;4(2):109-16. Lang CH, Kimball SR, Frost RA, Vary TC. Alcohol myopathy: impairment of protein synthesis and translation initiation. Int J Biochem Cell Biol. 2001 May;33(5):457-73. Excellent article. Working on the gluten free diet also. Thanks so much for writing these ! you’re welcome Melinda, I’m glad you enjoy them!